Tunisia’s Armed Forces have taken delivery of six US-made military helicopters from a total order of 24 for use in its fight against “terror”, the government announced Saturday. Prime Minister Youssef Chahed was present at the southern military base of Gabes for the delivery of the aircraft, said a government statement. The helicopters would reinforce the army’s reconnaissance and attack capabilities in “the war against terrorism”, it said. 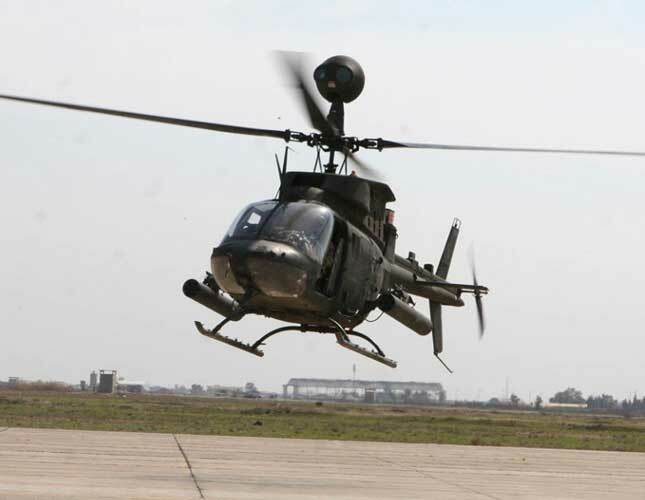 A government official said the six Bell OH-58D Kiowa Warrior helicopters were the first batch of a total order of 24 of the same type. The rest are due for delivery in March. The official said the aircraft are equipped for both day and night operations, for “reconnaissance, security, air support, surveillance and determination of mobile and fixed targets”. In May last year, the US State Department approved the sale of the aircraft to Tunisia at a total cost of $100.8 million, in a contract that includes specialized systems support and training. “The United States is committed to the security of Tunisia, and it is vital to US national interests to assist Tunisia to develop and maintain a strong and ready self-defense capability,” the US Defense Security Cooperation Agency said at the time. It said the deal “will improve Tunisia’s capability to conduct border security and combat operations against terrorists, including Al-Qaeda in the Islamic Maghreb (AQIM)”, the Islamic State jihadist group in neighboring Libya and the Islamist group Ansar al-Sharia in Tunisia. Tunisia has been the target of a wave of deadly jihadist attacks since its 2011 revolution, including on foreign tourists, and the UN estimates that more than 5,000 Tunisians are fighting for extremist groups, mainly in Iraq and Syria. On January 16, Tunisia also received two ships from the US military, as part of an agreement reached in 2012. The vessels are the third and fourth of a batch of six that will also strengthen Tunisia’s ability to combat illegal immigration across the Mediterranean. The last two ships are to be delivered within a year.